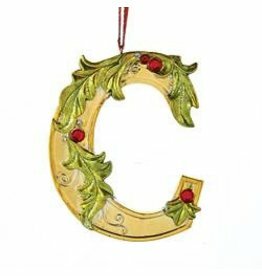 Size: 3.5 inches. 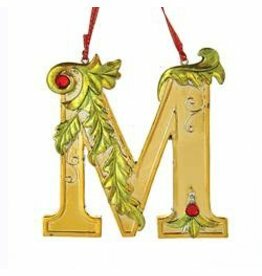 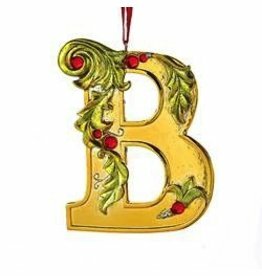 Gold Letter Initial with Green and Red Holy Accents on Red Ribbon Hanging Cord. 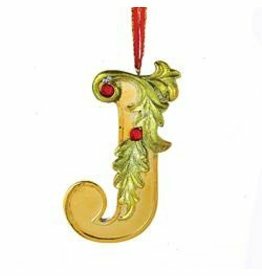 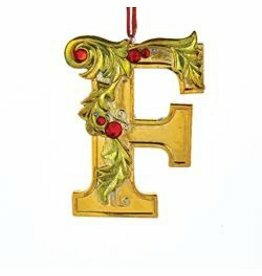 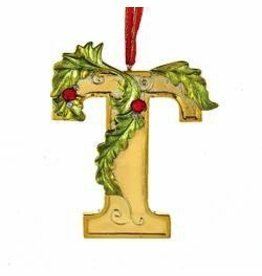 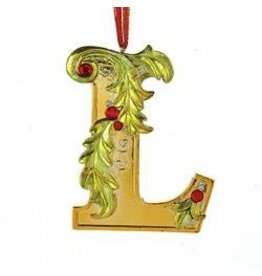 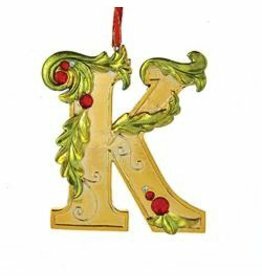 Letter Initial Christmas Ornaments and Decor by Kurt S. Adler. 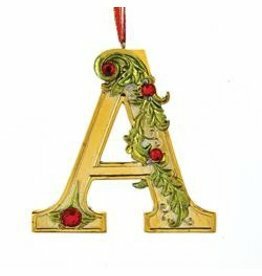 Personal Letter Name Initials Themed Oraments Collection.